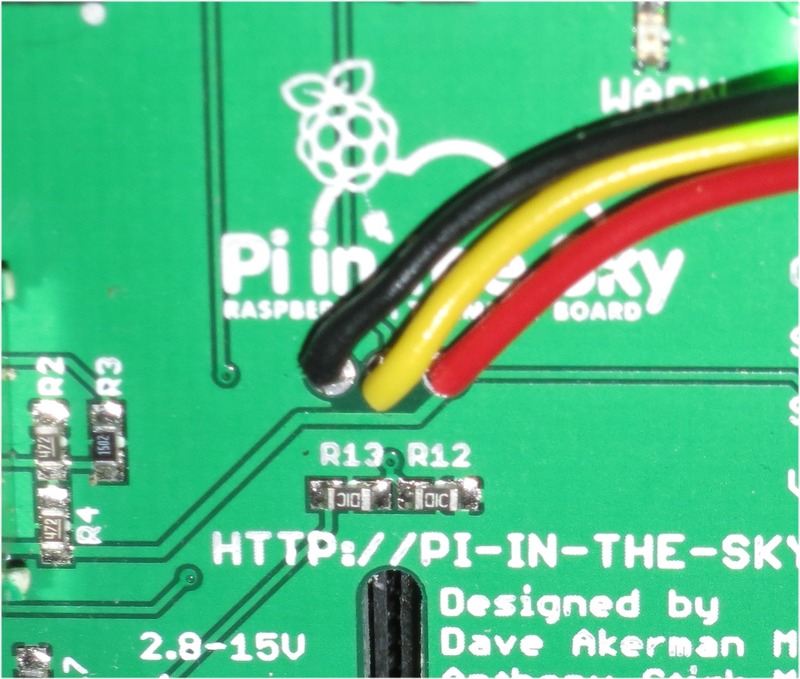 The Pi In The Sky boards include an onboard temperature sensor, but can be expanded by a adding a second, external, DS18B20 temperature sensor. Using separate colours makes a mistake much, much less likely. Red and Black are standard colours for "+" and "0V"; the others can be anything you have to hand. 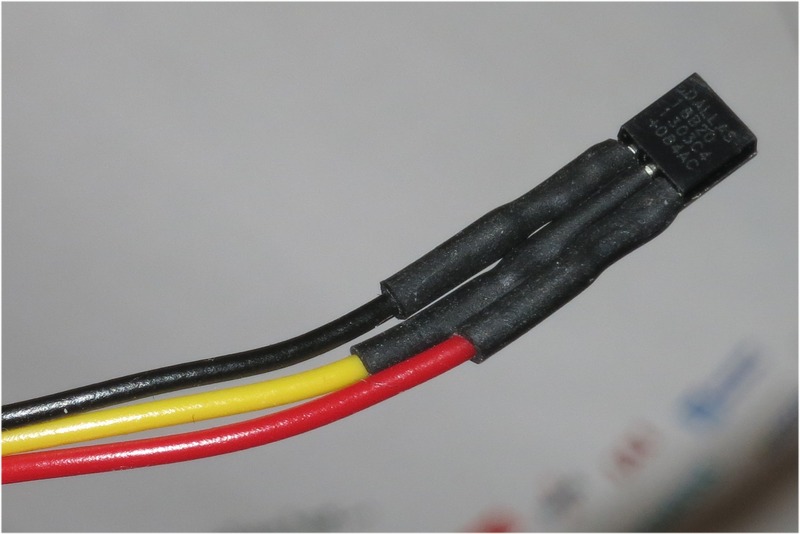 If you have some, use heat-shrink tubing to protect the bare wires; otherwise use some insulating tape. Take care to connect the correct pins on the DS18B20 to the correct holes on the PITS+ board. If your board does not look like the one above, check with us for advice. Where "0" means the first sensor that it finds, and 1 is the second. Default is "1", so you only need to add this line if you find that the external and internal temperature values are swapped in the telemetry (normally the internal one should come before the external one in the telemetry string).